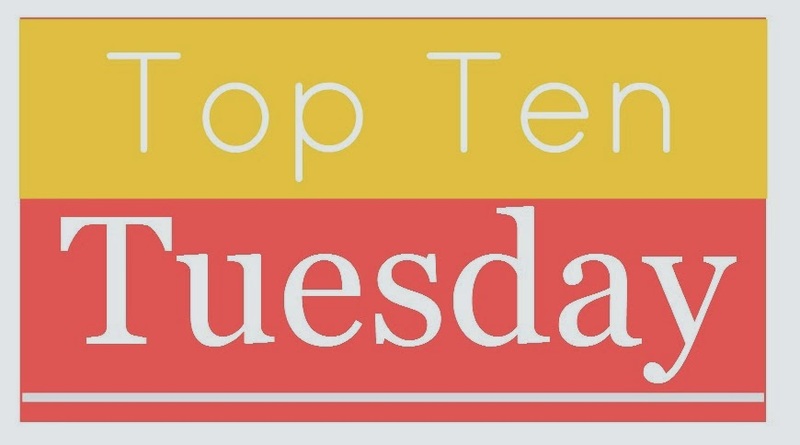 It's been a little while since I participated in my favorite bookish meme, Top Ten Tuesday, so I decided to start 2014 off right by joining in the fun. As always, this list-y event is hosted by the lovely ladies over at The Broke and the Bookish. Click on over there to get all the juicy details on how to get in on the good time! 1. Read 200 books before January 1, 2015. Yeah, yeah, I realize that finishing 200 books has been my goal for the last few years and that lately I've been falling very, very short of that number. But, that doesn't mean I can't do it in 2014. In fact, I think this is going to be my year. I've already read 2 1/2 books this month, so who knows? Anything can happen! How about you? Are you making resolutions this year? If yes, please tell me how you keep yourself motivated to keep working on them when the going gets tough. I need all the help I can get! Oh, and which books do you think should be on my TBR list this year? Good luck to achieving your goal! I'm usually not much of New Year's resolution person either, but I actually really love setting them for reading and blogging goals. Although I rarely complete all of them, I am able to follow through with most of them. But general resolutions I'm terrible at. So I can totally relate to struggling with setting them. Good luck on your reading goals, though!!! I also have issues with following through on goals that I've set. But it's so much fun to set them! 200 books in the year sounds do-able. My problem has always been keeping track of what I've read as the year progresses. Good luck with it! I *wish* I could read 200 books or even 100 in a year! I haven't made it past 75 the last 2 years. I just can't read fast enough!! Good luck on getting to 200. I set mine at 300 and now I'm having doubts. Try setting a goal for a percentage or number of pages a day, that might help. Have a great week. I hope 2014 is your year! 200 books is like three times what I normally get to, so I'm super impressed. :) Good luck! 200 books would be a great feeling. And you're right - just because it didn't happen last year is no reason why it can't happen in 2014. In fact, that might even give you more motivation. Good luck! 200 is very easy for me, but maybe you need to read more books from genres that you love so that in the end is better and more satisfying. I usually read faster those authors that I love. Try it! You saw on my blog that I'm a big goal setter, but I really admire that you know goal setting isn't for you and don't set yourself up to be disappointed with yourself. Good luck with the 200 books! I love your one goal! Smart girl:) I could never in a million years read 200 books in a year (my goal is 100) so good luck with that. I'm sure you can do it! Thanks so much for visiting, Books, Bones & Buffy:) Happy New Year! Wow! 200 is huge! This past 2 years, I've only managed to read 70 books. 200 books! You are a crazy woman! I totally think you can do it! I think you have the best list out of everyones! Just READ! That should be everyones main goal! 2014 will be the year for you to do it; 2 1/2 books is already great progress :) Happy New Year!!!! 200 books! wow. way to go and good luck!!! Love the concentration on one goal! 200 is an impressive goal, but for a book lover, pure bliss! Good luck! Two hundred books is a lot. I got to 129 last year so I set my goal at 125. I feel like that 129 was a fluke. I'll probably be happy if I make 100. Oh my gosh, 200 books! Good luck!